Our Natural Flea & Tick Control Kits are designed to make flea, mite and other blood sucking insect treatment more successful. To control fleas, mites and other insects, it is imperative that everything be treated at the same time, the dog, cat, other pets, the yard, bedding, and home, if the animal is an indoor pet. With this in mind, we offer natural Flea & Mite Control kits. These kits include:�� Food Grade Diatomaceous Earth, Flea Free Food Supplement, and 8 oz. Nature's Way Insect Spray. 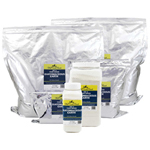 These kits are available in small, medium and large sizes for total flea and mite control. Small Natural Flea & Mite Control Kit contains:� 2 lbs. 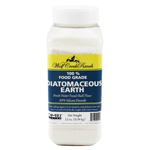 Food Grade Diatomaceous Earth, 16 oz. Flea Free Food Supplement, and 8 oz. Nature's Way Insect Spray. Medium Natural Flea & Mite Control Kit contains:� 6 lbs. Food Grade Diatomaceous Earth, 32 oz. 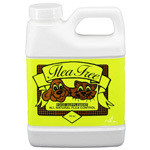 Flea Free Food Supplement, and 8 oz. Nature's Way Insect Spray. Large Natural Flea & Mite Control Kit contains:� 6 lbs. 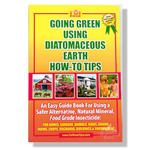 Food Grade Diatomaceous Earth, 64 oz. Flea Free Food Supplement, and 8 oz. 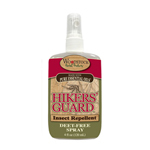 Nature's Way Insect Spray. These products hav not been evaluated by the Food and Drug Administration. These products are not intended to diagnose, treat, cure or prevent any disease.